At Weyburn Carpet One we want our customers to love the rooms we help them create. That is why we are here to bring you the very best in flooring, paint and window treatments. Window treatments are very important in bringing out a room’s full potential. Aside from the many ways they can aesthetically improve a room they also offer many practical benefits. Energy efficiency is a great benefit of utilizing the proper window treatment. Stay warm during the winter and save money on heat. And by controlling where and how light enters the home you can protect your floors and furniture from harmful UV ray damage. Solar shades are great options for these rooms as you can enjoy all of those benefits while adding a stylish design element. Faux wood blinds are popular because they are resistant to moisture and easy to maintain. So you have the looks of wood in kitchens, bathrooms or other areas in the home that have an exposure to moisture. Looking for an elegant feel to a dining room or bedroom? There is a wide variety of drapery options to achieve any look and feel. When you visit our showroom we will show you all of the great options available from our featured brands. Hunter Douglas. A name that is synonymous with window treatments, Hunter Douglas continues to be on the forefront of technology and design. Graber. 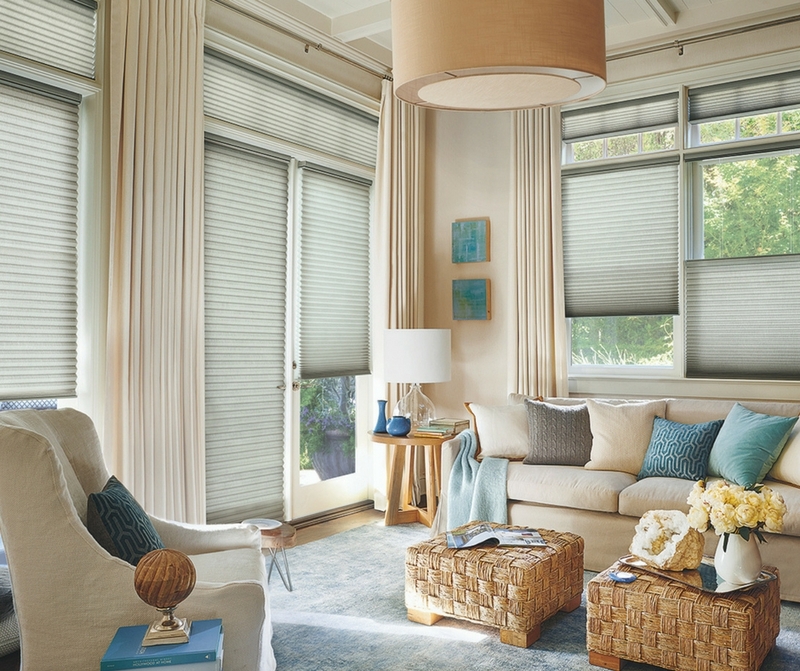 Trusted quality and innovation make Graber Blinds one of the most popular names in window treatments today. With their assortment of product offerings you will be sure to find the perfect covering for your space. Maxxmar. Window fashions by Maxxmar are created with the customer in mind. They are committed to creating products that are stylish and quality at an affordable price.